CEDAR RAPIDS — Democratic 1st Congressional District candidate Monica Vernon scored her second endorsement from a member of Congress in two days. 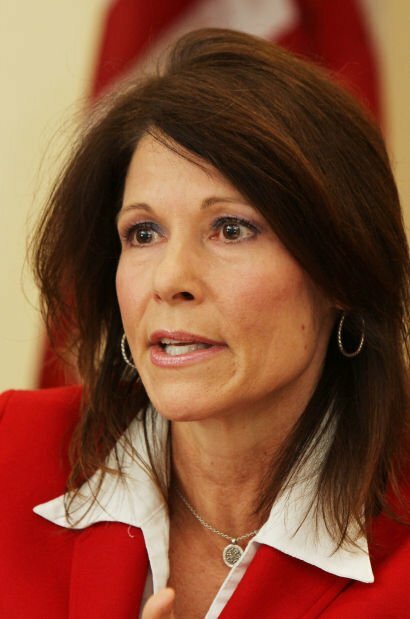 U.S. Rep. Cheri Bustos, D-Ill., announced her support for Vernon on Thursday. Illinois’ 17th District, which Bustos represents, neighbors Iowa’s 1st District. Bustos said in a statement that the pair have a long history of working together. “I have known Monica for years and have watched her work on a grassroots level to help reinvent and grow our bi-state region,” Bustos said. The announcement builds off the endorsement secured Wednesday from Democratic U.S. Rep. Dave Loebsack, who represents Iowa's 2nd District, which also neighbors the 1st District. He is also the sole Democrat elected to federal office in the state. Bustos also pointed to Vernon’s success as a business person and on the Cedar Rapids City Council, saying it shows she knows how to get things done. “I need her voice in Congress with me fighting for hard-working American families,” Bustos said. Vernon returned the compliment to Bustos, now in her second term in Congress. She said Bustos is also a hard-working person who “never stops working for her constituents,” whether that is as a member of Congress or through her previous work on the East Moline City Council. Vernon’s endorsements have come just days after one of her primary opponents Ravi Patel withdrew from the race, citing the importance of unity within the Democratic Party to unseat first-term U.S. Rep. Rod Blum, R-Iowa. His withdrawal leaves just Vernon and Cedar Falls’ Gary Kroeger aiming for the party’s nomination to take on Blum, who is considered vulnerable in a Democratic-leaning district. Before Blum won in 2014, Democratic President Barack Obama won the district in 2012 by 14 points. Vernon previously received the endorsement of more than a dozen elected officials across the state, Teamsters Local 238, and EMILY’s List, which is focused on women in politics.